The main activity of the Company is connected with technical maintenance of about 895 000 electric meters owned by the Enterprises of RA energy system engaged in electricity generation, transmission and distribution, as well as by the consumers of electricity. 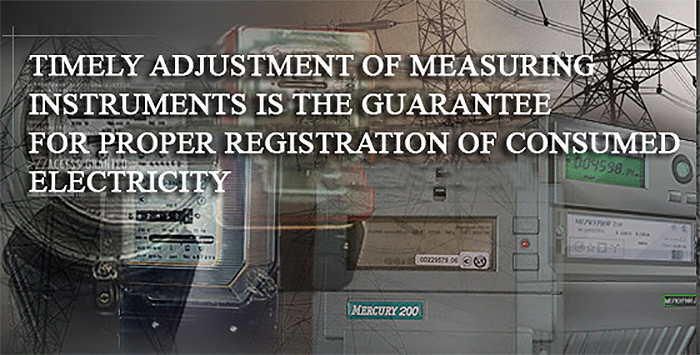 Maintenance, adjustment, programming and measure testing of single-phase and three-phase electronic meters. The above-mentioned activities are carried out on the high-precision electronic devices of the Russian and American production enabling to measure all parameters of the electric meters by accuracy rating class of 0.2 and below, and output the protocol of measurement results. Technical capacities of these electronic devices allow to provide services to about 19 000 induction and electric meters monthly. Satisfying the requests of household subscribers on the installation of multi-tariff electric meters.